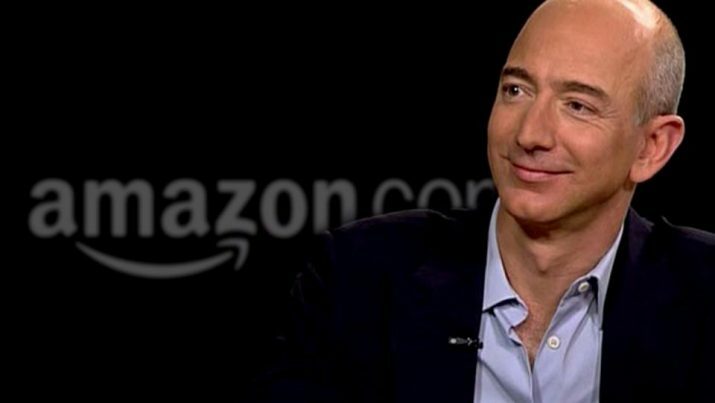 With so much focus on the rampant spying and censorship crimes of Facebook, Twitter, YouTube, Google, and other major social media platforms in recent days, many people are overlooking perhaps the most pernicious threat of all: Jeff Bezos’ Amazon empire. That’s because the trail of free market destruction being left in the wake of Amazon’s rapid rise to almost total market dominance is something that’s rarely acknowledged, let alone discussed. People see convenience and free two-day shipping, and that’s enough for them to continuing supporting Amazon without giving it a second thought. Most people are also woefully unaware of the fact that Amazon is now merging with the military-industrial complex, signing contracts with the Pentagon, defense contractors, and other elements of the war machine to basically do its bidding. There’s almost nothing good about Amazon and the impact it’s having on the world, in other words. But why aren’t we hearing about it? Why is the world’s richest man being allowed to amass a level of power and control akin only to totalitarian dictators, many of whom exterminated millions of people? The answer is ignorance, much of it willful. Many Americans, and people in general, would rather satisfy their here-and-now desire for cheap stuff, which they believe Amazon provides – when in reality, the perceived “genius” of the Amazon business model is really just a hostile takeover of pretty much everything, including mass surveillance and spying. “Rampant ignorance has plagued the U.S. population when it comes to the deployment of technology, which has allowed the platform monopolies of Facebook, Google and Amazon to rise to dominance with disturbingly little scrutiny,” writes Michael Krieger for LibertyBlitzkrieg.com. While it’s been known for quite some time that platforms like Facebook and Google are basically surveillance front-ends for the deep state, it’s much less known that Amazon represents the exact same thing. In fact, too many people are under the impression that Amazon is a good company run by a good man, when the exact opposite is true. “Although public opinion is starting to turn on Facebook and Google, public opinion on Amazon remains far behind the reality curve,” Krieger writes. We know, for instance, that Amazon Web Services (AWS) has close financial ties to the Central Intelligence Agency (CIA), and that Jeff Bezos himself was named to the Pentagon’s Defense Innovation Advisory Board back in 2016. Amazon and its lobbyists also rigged the process to obtain a whopping $10 billion contract with the Pentagon to develop … God only knows what for the military-industrial complex. Amazon is also responsible for developing the so-called “Rekognition” facial recognition technology that we previously reported is now being used by police departments to spy on the public. “Given the clear links between Amazon and the surveillance state, am I the only one who finds it mind-boggling that so many people are willing to place an Amazon created ‘virtual assistant’ named Alexa into their homes and treat it as part of the family?” asks Krieger. Read Fascism.news for more real news about the rise of corporate fascism.